Endress+Hauser reports on a solid financial report for 2015. 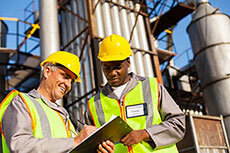 The measurement and automation engineering specialist was nevertheless unsatisfied with how the business developed. In local currencies, the Swiss-based Group experienced hardly any growth in net sales. Currency impacts additionally strained earnings. The Group increased consolidated sales by 6.5% to more than €2.1 billion. As CFO Dr Luc Schultheiss pointed out, growth was driven by the effects of foreign exchange rate fluctuations. “All key currencies lost value against the euro. From a local currency standpoint, sales only increased by 0.7%.” In Swiss francs, the actual reporting currency for the holding company, sales declined by 6.6%. The business was impacted by slower economic growth in China and sinking raw material prices, in particular the oil price. “Sagging demand for raw materials and energy in China had a negative impact in many countries, from the Pacific Rim over Southeast Asia to South America,” explained CEO Matthias Altendorf during the presentation of the business results in Basel, Switzerland. Political crises and economic uncertainties dampened enthusiasm for investments around the world. According to COO Michael Ziesemer, two large markets – the USA and China – experienced a downswing. Although Germany, Endress+Hauser’s largest market, was in the plus column, the targets fell short. Europe registered robust growth at 1.9%. Growth in the Americas (7.3%) and Asia (13.8%) reflected primarily currency fluctuations, despite the dynamics in India. In contrast, increasing sales in Africa and the Middle East (13.1%) are a testament to the actual momentum. The Group was able to manage the sudden devaluation of the Swiss franc in early 2015, but at the expense of margins. “That was possible only because we act from a position of financial strength,” said Luc Schultheiss. Higher production costs were offset only partially through more favorable procurement conditions. The company wants to gradually compensate for the locational disadvantage through additional efficiencies. “We are not planning on outsourcing any jobs,” emphasised Matthias Altendorf. With costs rising at a disproportionately high rate, the operating profit (EBIT) decreased 6.3 percent to €251.3 million. 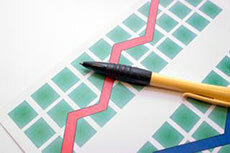 The net financial result was negative – a consequence of the currency losses and lower investment income. This is reflected in the profit before taxes (EBT), which sank 14.7 percent to €234.2 million. Despite slightly lower tax rates, net income decreased 14.1% to €164.7 million. Profitability declined accordingly. Return on sales (ROS) fell 2.7 points to 10.9%. “That’s still an excellent number for our industry,” emphasized Luc Schultheiss. Productivity – defined as net value added in proportion to personnel expenditure – sank from 1.37 to 1.31. The CFO sees the company “continuing at a good level” here as well. Endress+Hauser’s financial strength remains unaffected, with liquid assets of €382.7 million against bank loans of €7.8 million. The company paid off most of the external debt it assumed with the purchase of Analytik Jena. The equity ratio rose 4.7 points to 73.0%. In this case the exchange rate effects, in addition to reduced pension obligations, had a positive impact on the figures. “We’re making sure that we don’t have to depend on external financing,” says Luc Schultheiss. In 2015 Endress+Hauser invested €166.1 million in new buildings and equipment, an increase of 31.5% compared to the prior year. The single largest investment was a 49.5 million Swiss franc project to expand flowmeter production in Reinach, Switzerland. The German sales centre in Weil am Rhein, as well as the plant in Cernay, France, was also expanded. Other investments included the construction of new office buildings of the Chilean, Italian, Malaysian and Spanish sales centres. 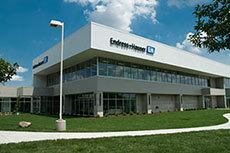 Endress+Hauser had 12 952 employees at year end. 517 jobs were added in 2015. This included 353 in Europe, from which 135 were added in the German-French-Swiss border region around Basel. Endress+Hauser submitted 270 patents in 2015, 11 more than in 2014. Research and development expenses increased 11.1% to €159.7 million, which represents 7.5% of sales. “The past year demonstrated to us how important the right corporate strategy is,” said the CEO. The global sales and production presence, a broad base of diverse industries and the comprehensive portfolio of products, solutions and services all helped the company succeed in a difficult business environment in 2015. Endress+Hauser plans to continue this course with its new Strategy 2020+. Another focal point of this strategy is the expansion of the company’s digital capabilities. Matthias Altendorf believes 2016 will be even “more difficult” than the previous year. The company foresees single-digit growth and wants to keep earnings at the 2015 levels. “Even with the numbers moving in the right direction, we’re still a good way from reaching our targets,” added the CEO, who wants to keep an especially sharp eye on costs. There are nonetheless no plans to cut back on the €190 million set aside for investments. Endress+Hauser was able to hold its ground during the 2015 fiscal year, despite a difficult business environment. Endress+Hauser has announced its autumn and winter 2015 schedule of instrumentation training courses. New centre for North American customer base.